Representative Curtman received an A on our 2016 legislative scorecard. 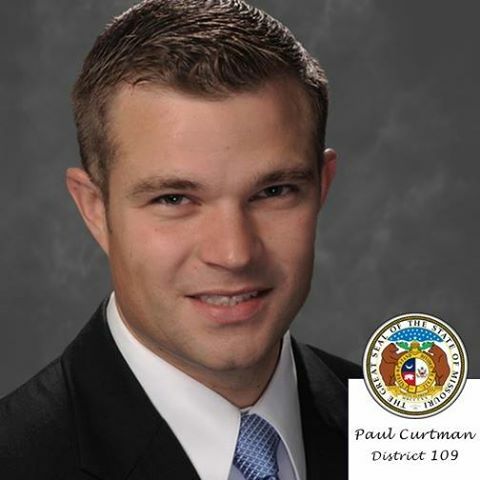 Rep. Paul Curtman represents parts of Franklin County in the Missouri House of Representatives. He is an avowed and proven freedom fighter who is passionate about the Constitution of the United States and his service in the United States Marine Corps. Rep. Curtman continues to challenge crony capitalism and champion economic freedom. He has buildt a loyal statewide following of supporters and is often considered as a future congressional or statewide candidate. He was elected to his first two-year term in November 2010. Paul lives in Union with his wife and young son.